Are you using Windows default mail or still using the web version for your email service ? Did you ever tried Mailbird for your email. If not, here i will tell you why you should use it. 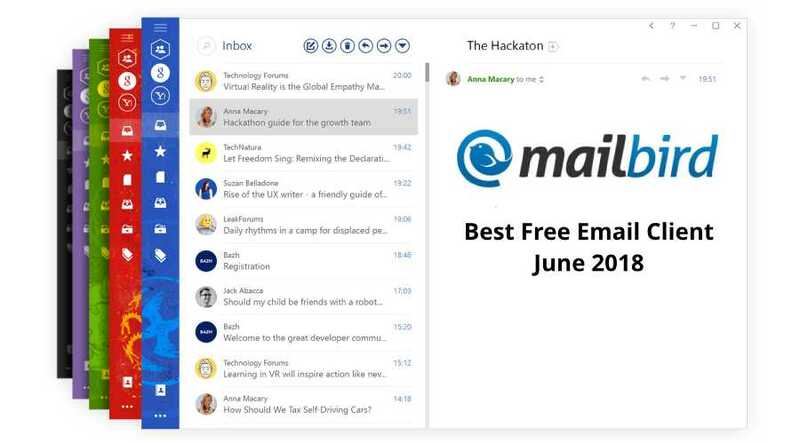 Mailbird is a free email client as like the Outlook, Windows 10 Mail, Thunderbird etc. You can install it on your PC and add your email to it. Unlike other service, what it makes unique is its simple to use interface and speed. If you used, Outlook or Thunderbird before, you may notice that, there are so many features added into it, so that it may make difficulty for normal users to use it, and also it will take more system resources too. Here in Mailbird, you can see its simple and straight forward interface by which it make good user experience to normal users. The free version has some limitation compared to the pro version, in which you can add only 2 accounts in Free version, and if you need to add unlimited account, then you have to purchase the Pro version license. The good thing is that, the pro version license is very cheap when compared to the other email clients and you can get a pro license for $22 for lifetime, there will be no monthly/yearly. However, there is yearly plan also available, in which you have to pay $6 each year. Unified Inbox – Mailbird have a unified inbox feature, in which you can manage all your emails and contacts from multiple accounts easily in one Inbox. All the emails will be available under a single area, no need to switch from different email account to check each inbox. Color option for account – Since all your emails can be seen under unified inbox, you can set different color option for each email, to identify the mail from different account. Customizable Layout – There are different themes available from which you can customize the look of your inbox. Fast Sync – Since it is very light resoure using software, it sync your emails instantly, you will get notification at the same time, once an email reaches your default email service. App Integrations – There is also, built-in app integration feature, You can find services like Facebook, Twitter, Whatsapp, Dropbox, Google Calendar, Asana, Todoist etc within the software and can access any service within the software. No need to switch between multiple applications. Snooze – Options to Snooze messages for later to focus only on the emails you need to at the moment. Attachment Search – Easily find even year old attachments with their powerful attachment search feature. Multi-language Support – The application currently supports 17 languages. Let try the Mailbird Free and if you need to add more account, and more feature only go for the Pro version. You will love it.